AHHH! If you’re as in love with Samira Wiley as we are (which, I mean, you should be!) prepare to freak TF out, because she just got engaged! 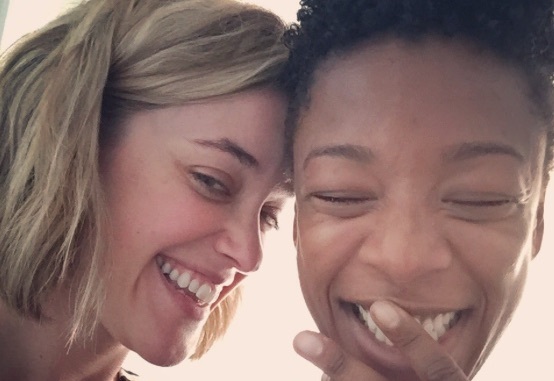 Yep, that’s right: Samira Wiley and Lauren Morelli, one of today’s sweetest couples, are officially engaged, and we’re so freakin’ pumped! Samira Wiley seemingly announced her engagement to Lauren Morelli on Twitter, and it’s SO CUTE. "I'll do anything with this one...." Promptly making us burst into tears, because, OMG. Our hearts can’t take this cuteness! The couple is the literal cutest. Morelli realized she was gay while writing for Orange Is The New Black and fell for Wiley, because, well, duh. Who wouldn’t? Samira Wiley is absolutely incredible, from her openness about what it’s like to be an LGBTQ+ icon and being a queer black woman in Hollywood. She’s all giggles and smiles, and, together, the couple is overflowing with love 24/7. SO CUTE WE CAN HARDLY TAKE IT. They are, by far, one of our fave couples of all time. Just, swoon. Swooning all around, guys. Today is a happy, happy day, and we couldn’t be more thrilled for this amazing couple!